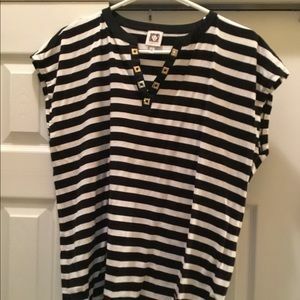 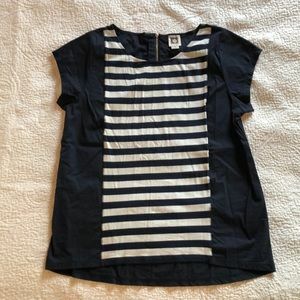 Anne Klein Striped handkerchief shirt. 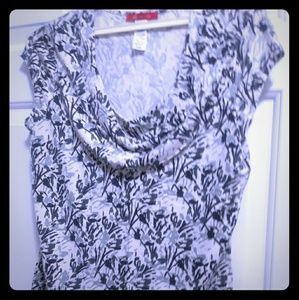 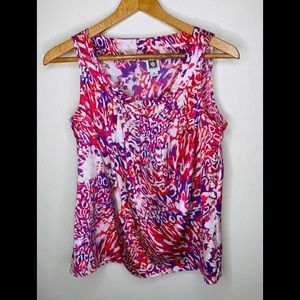 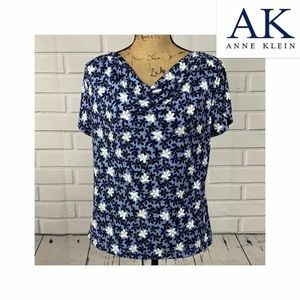 Ann Klein floral sleeveless blouse. 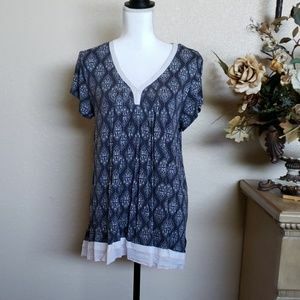 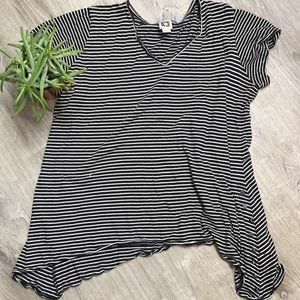 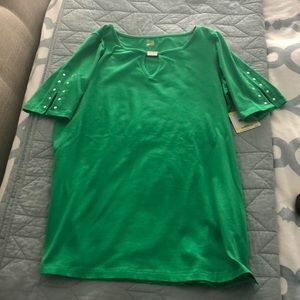 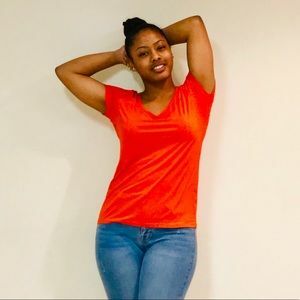 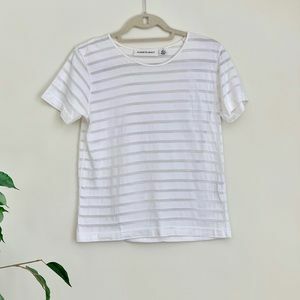 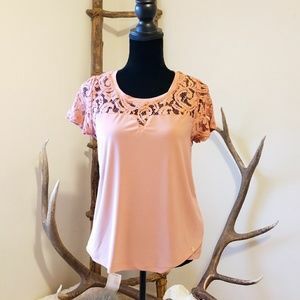 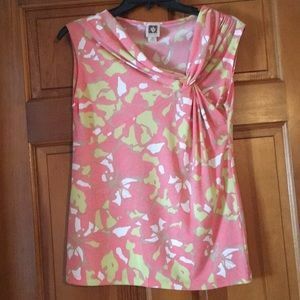 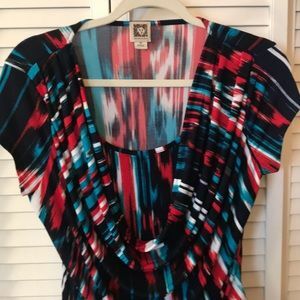 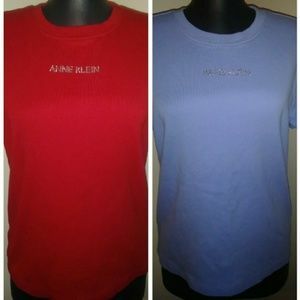 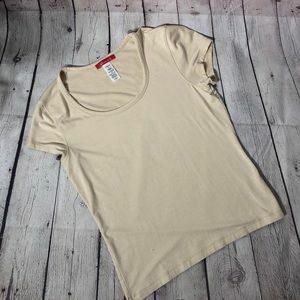 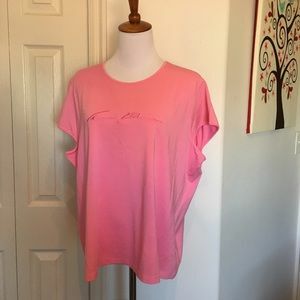 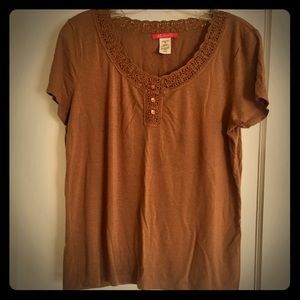 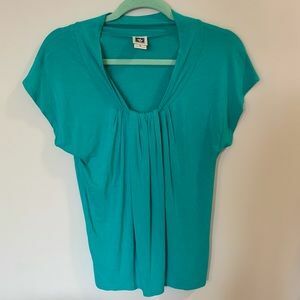 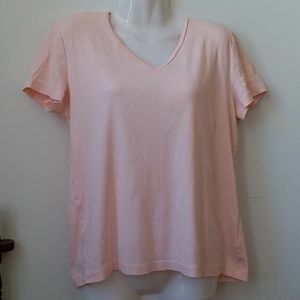 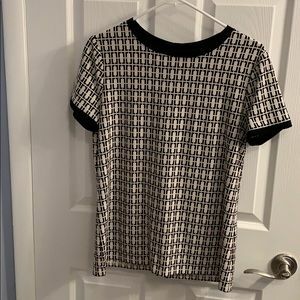 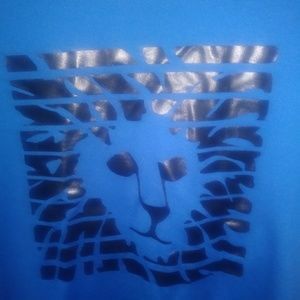 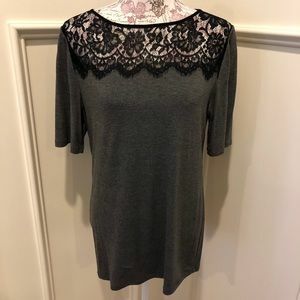 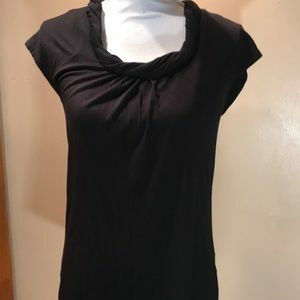 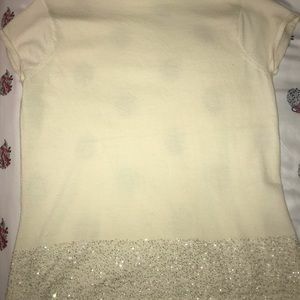 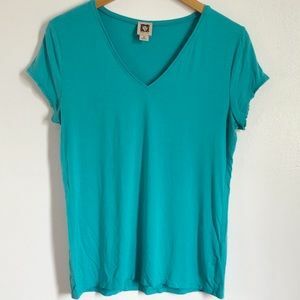 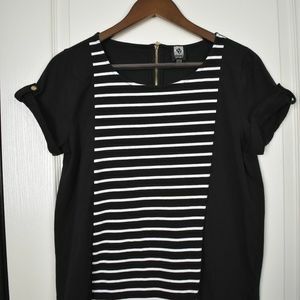 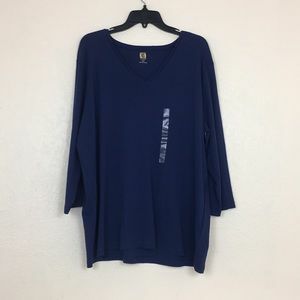 Basic T-shirt with dressy sleeves.